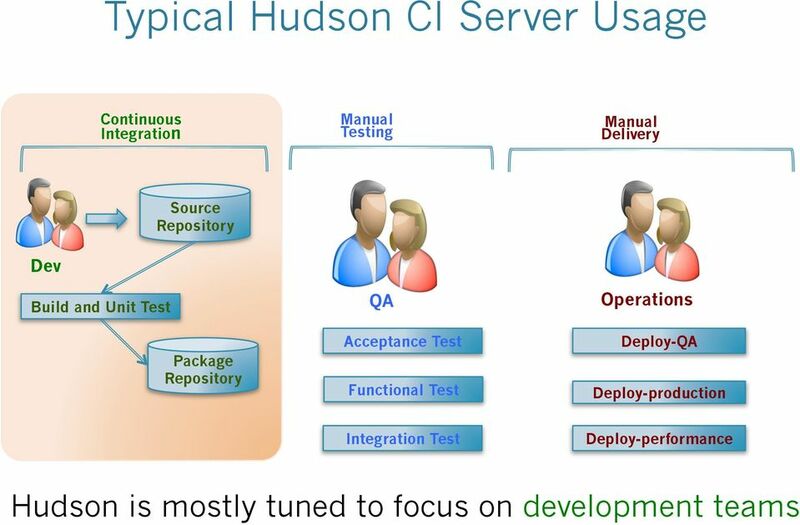 Download "Practicing Continuous Delivery using Hudson. 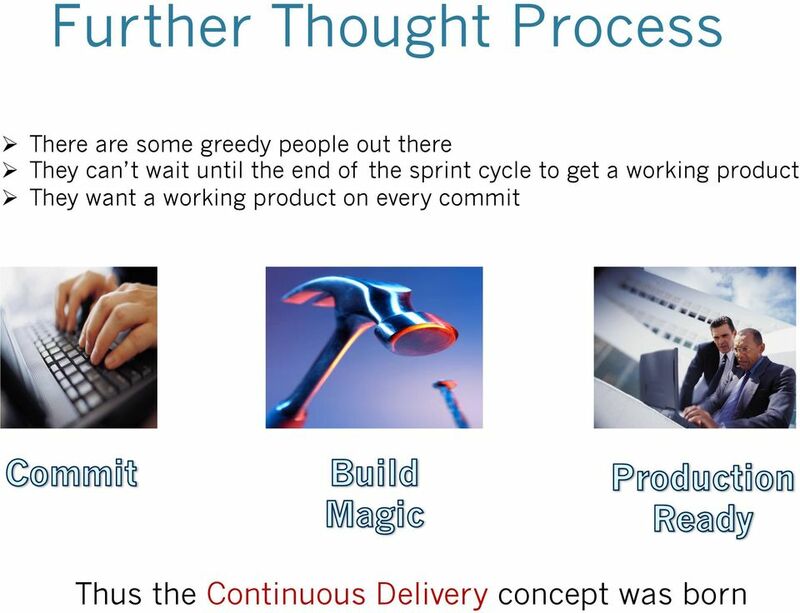 Winston Prakash Oracle Corporation"
5 What is Continuous Delivery? 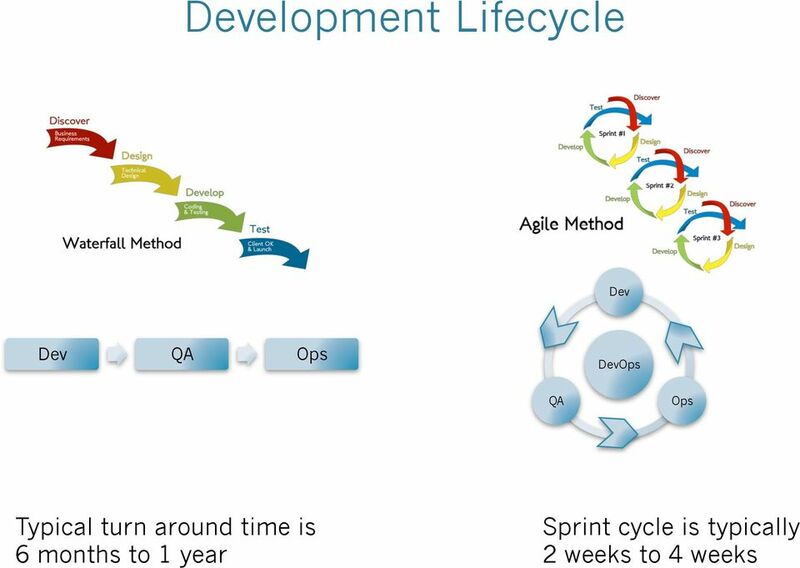 A set of practices and principles aimed at building, testing and releasing software faster and frequently. 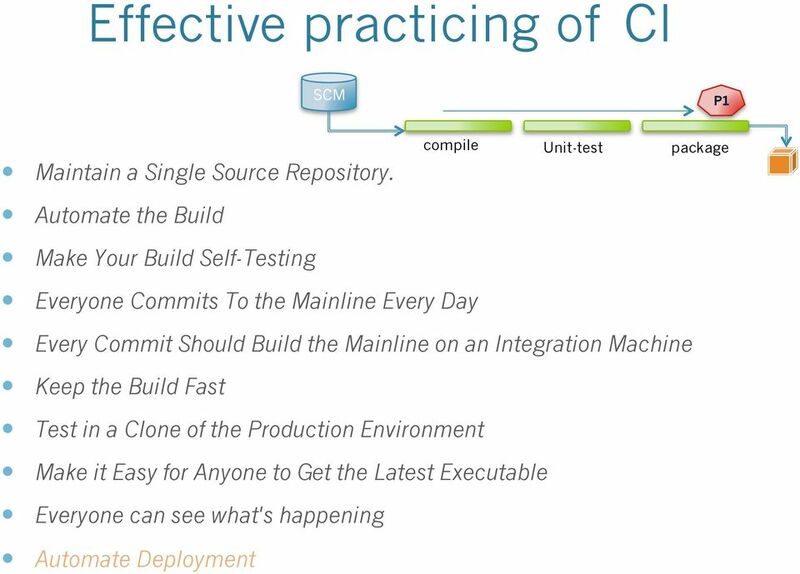 Produce a deployable-to-production build regularly, probably on each commit. Every build is a potential release. 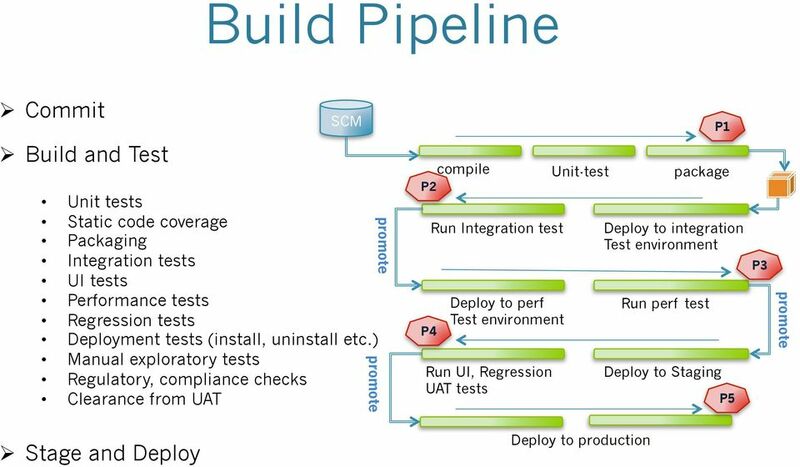 6 Commit to deploy In a Test Driven Development build pipeline, Continuous Integration is the first step and the end result is the Continuous Delivery. 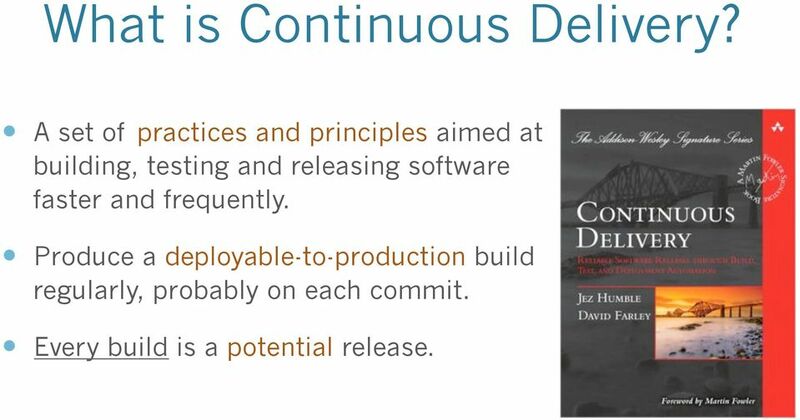 While Continuous Delivery promotes the concept of keeping your product in a deliverable state on each commit, Continuous Deployment takes it further. 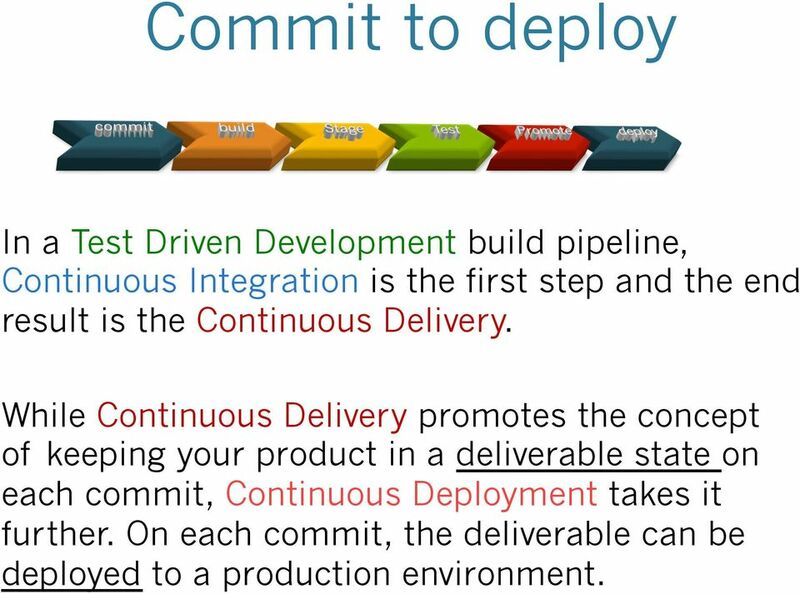 On each commit, the deliverable can be deployed to a production environment. 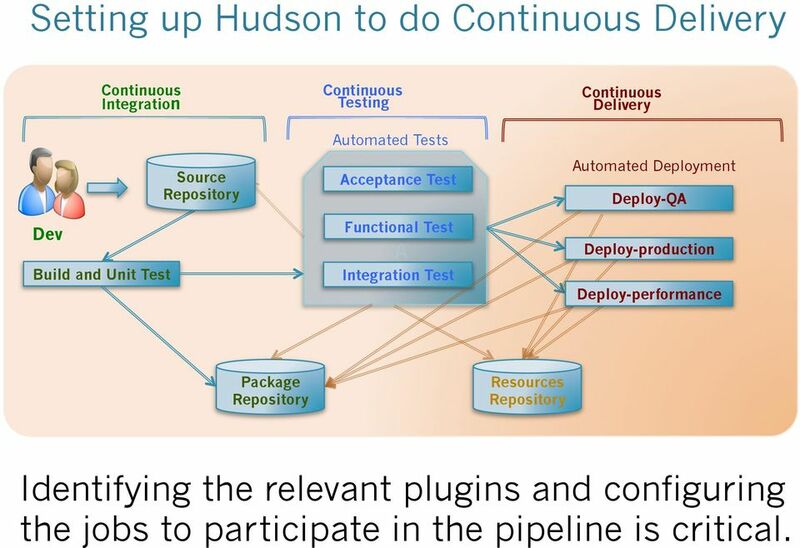 9 Setting up Hudson to do Continuous Delivery Dev Continuous Integration Build and Unit Test Source Repository Continuous Testing Automated Tests Acceptance Test Functional Test A Integration Test Continuous Delivery Automated Deployment Deploy-QA Deploy-production Deploy-performance Package Repository Resources Repository Identifying the relevant plugins and configuring the jobs to participate in the pipeline is critical. 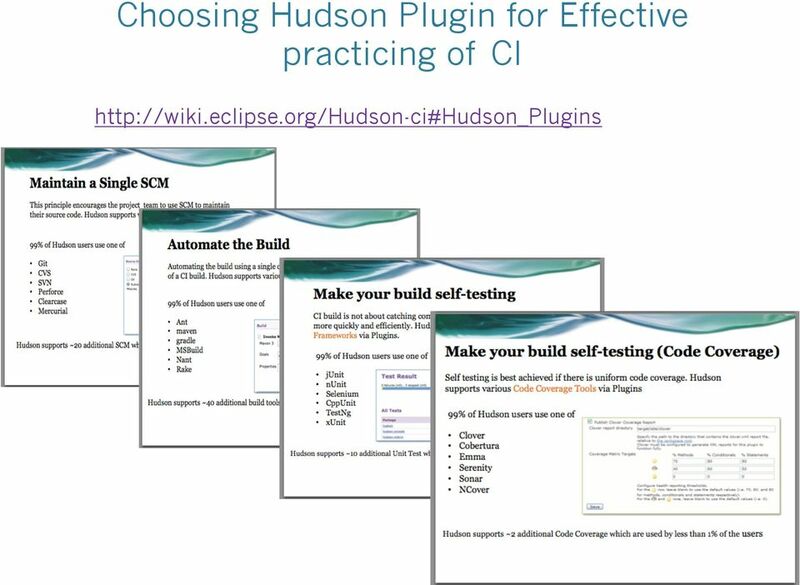 13 Buildable Units Important guideline of CI is to build fast and give back feedback quickly. 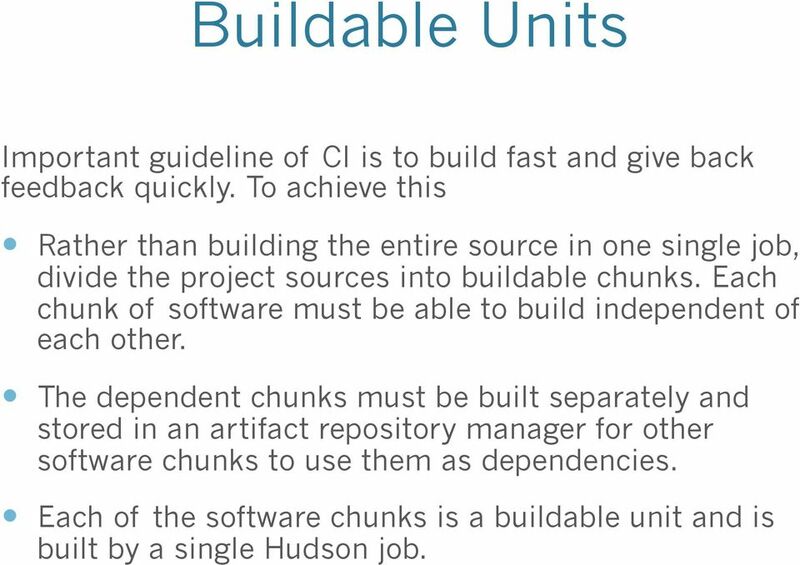 To achieve this Rather than building the entire source in one single job, divide the project sources into buildable chunks. 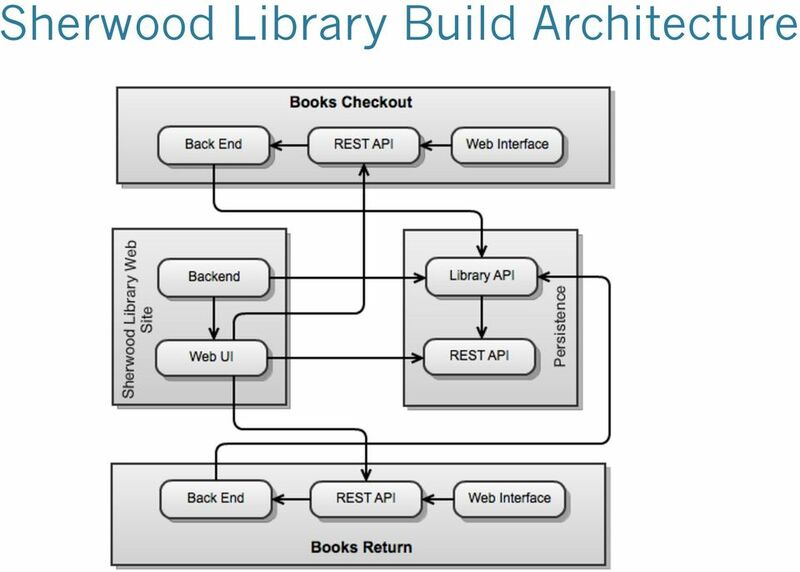 Each chunk of software must be able to build independent of each other. 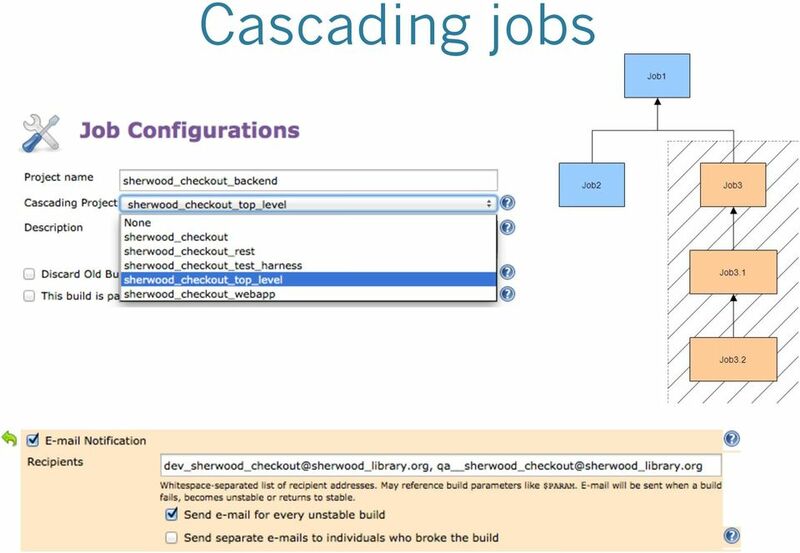 The dependent chunks must be built separately and stored in an artifact repository manager for other software chunks to use them as dependencies. 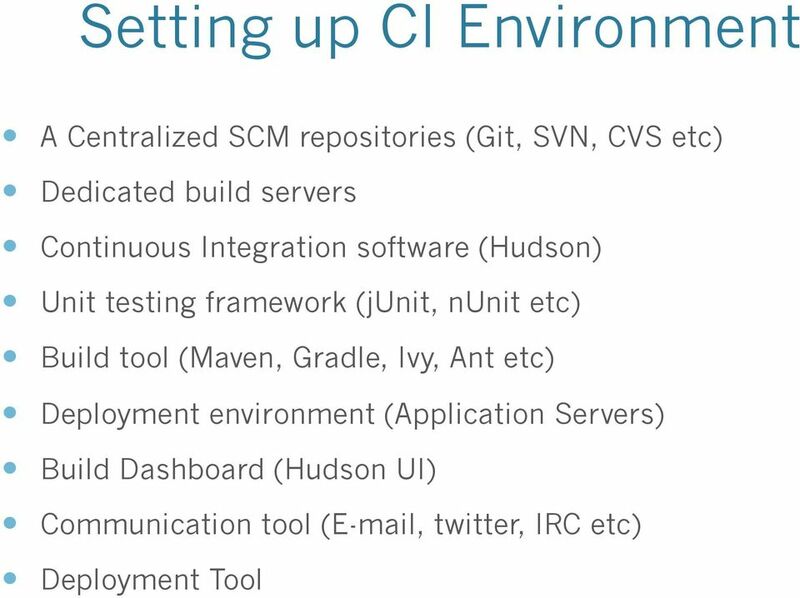 Each of the software chunks is a buildable unit and is built by a single Hudson job. 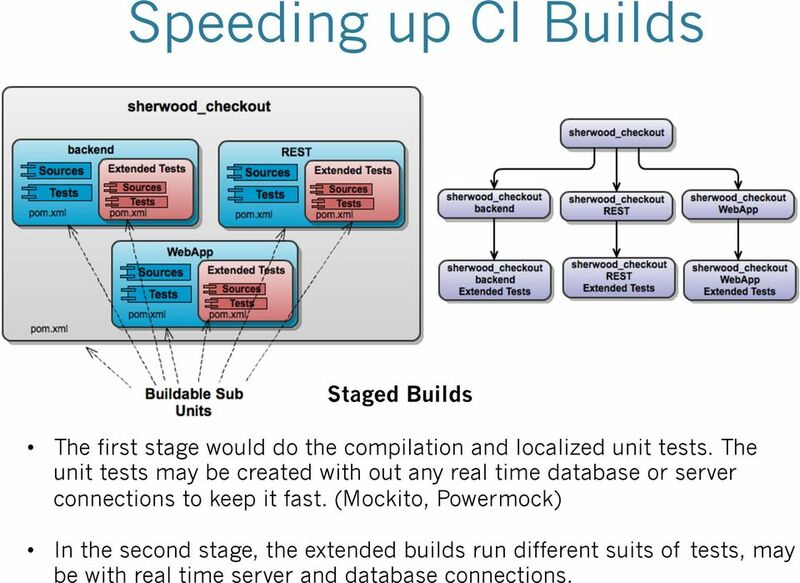 16 Speeding up CI Builds Staged Builds The first stage would do the compilation and localized unit tests. The unit tests may be created with out any real time database or server connections to keep it fast. (Mockito, Powermock) In the second stage, the extended builds run different suits of tests, may be with real time server and database connections. 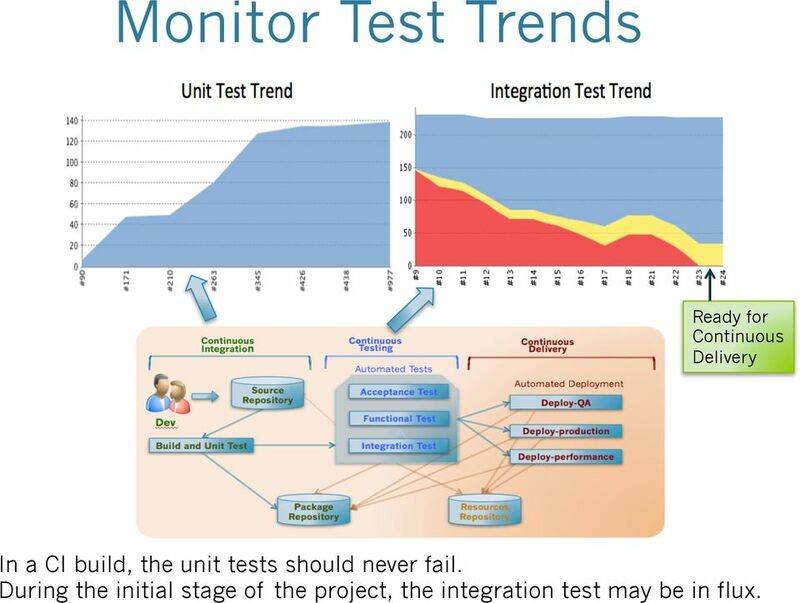 19 Monitor Test Trends Ready for Continuous Delivery In a CI build, the unit tests should never fail. 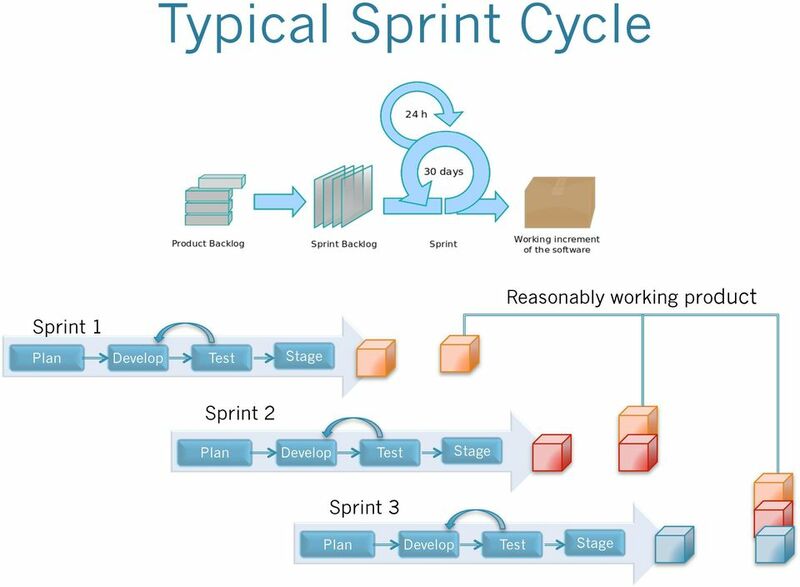 During the initial stage of the project, the integration test may be in flux. 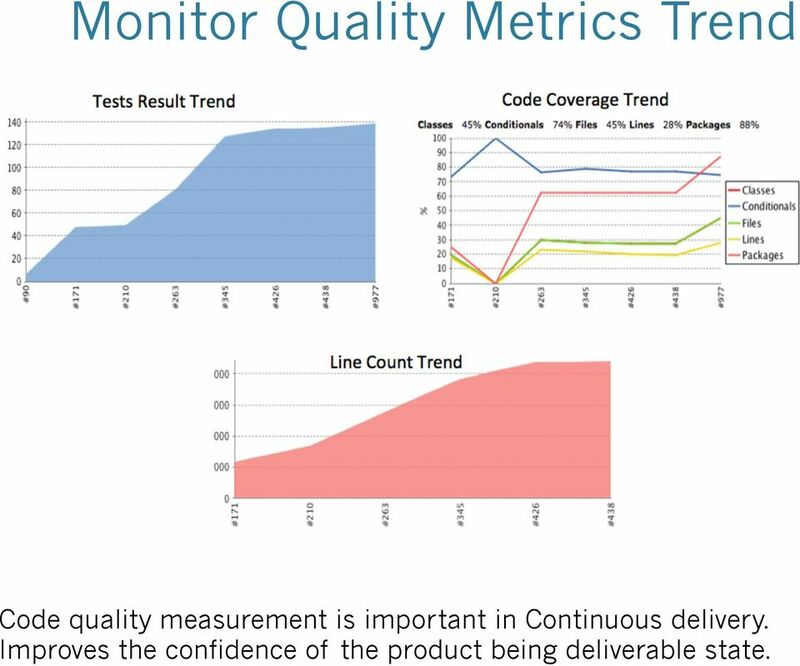 20 Monitor Quality Metrics Trend Code quality measurement is important in Continuous delivery. Improves the confidence of the product being deliverable state. 22 Automated Execution (SSH) Execute commands on that remote machine to ready the machine for automatic deployment. 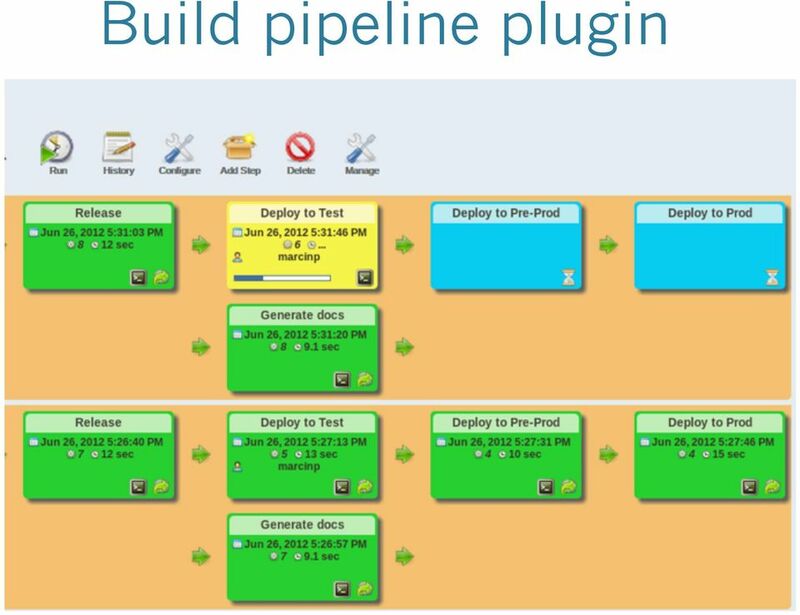 24 Diamond build pattern P4 ui-test-job Deploystaging-job Regressiontest-job Deploy-prodjob promote Run UI, Regression UAT tests Deploy to production Deploy to Staging P5 acceptancetest-job triggers a job after all the downstream jobs are completed in parallel. 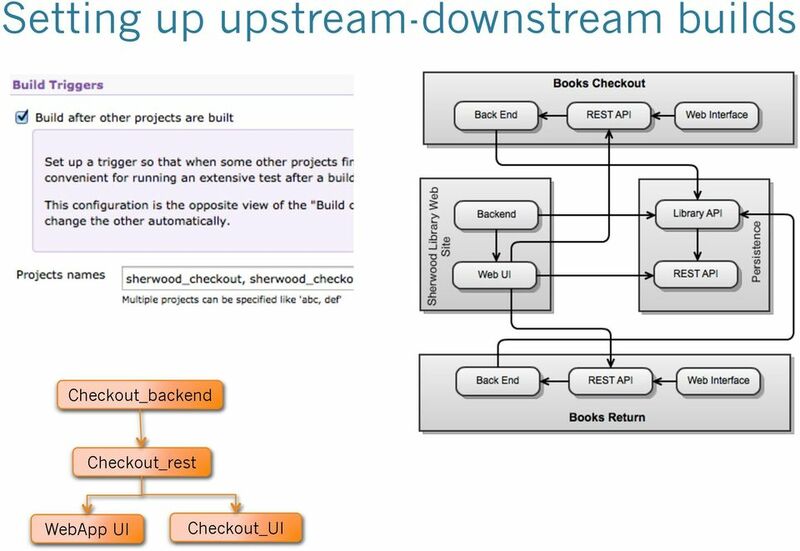 This allows a pipeline to branch out to perform many steps in parallel, and then run another job after all the parallel jobs are finished.